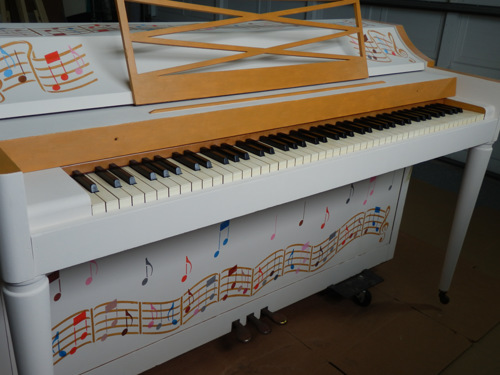 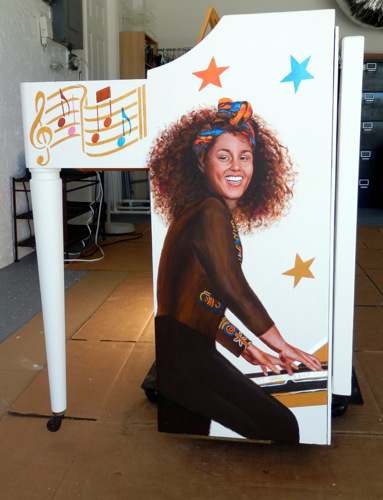 Recently I was commissioned, by the Sarasota Arts & Cultural Alliance, to paint a piano...what an honor! 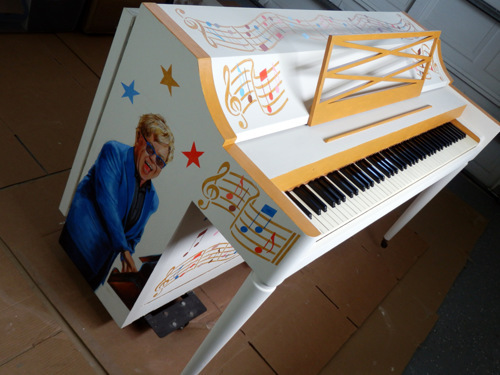 I love the piano and my painting is a homage to it and to the composers and singer - composers whose music continues to give us joy. 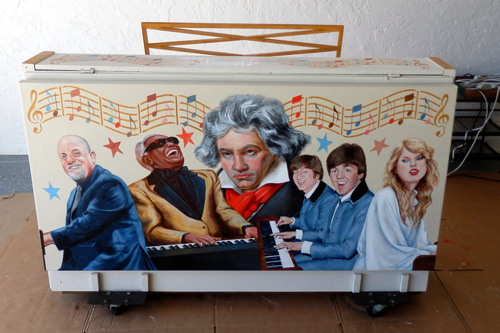 The piano now has a permanent home on ABC 7's Sarasota Suncoast View daily TV show.